On the banks of River Pahuj, Jhansi is a historical city in the Indian state of Uttar Pradesh that was once known as the reign of flourishing Maratha Kingdom. 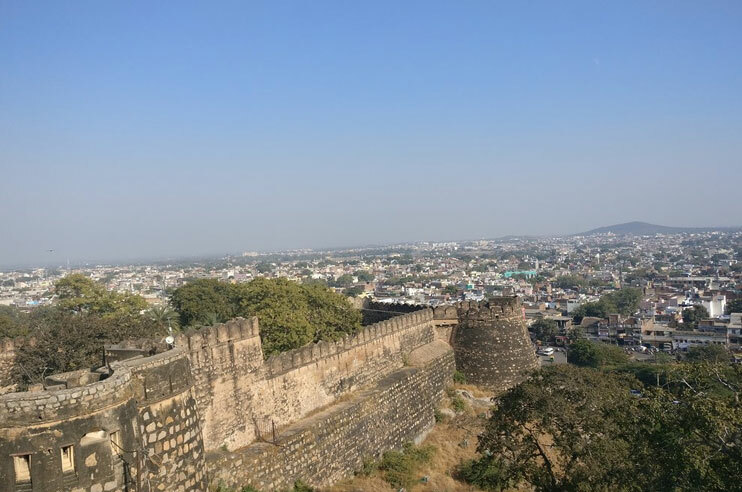 However, the historical importance of the city primarily owes to its connection with the valiant Rani Laxmi Bai, who was popularly famed as Jhansi Ki Rani. During the revolt of 1857, Rani Laxmi Bai was the one who fought manfully with the Britishers for India’s freedom struggle. Besides its historic significance, the city of Jhansi is also touted as one of the renowned tourism destinations in Uttar Pradesh. And pioneering the tourism scene of the city is the Jhansi Fort that dates back to the 17th-century. Giving treat history lovers is another historical attraction in Jhansi, famed as Rani Mahal. The city does not stop here to entertain the history buffs, another age-old magnet in Jhansi is the 1857 Mutiny Memorial that boasts a rare collection of statues. 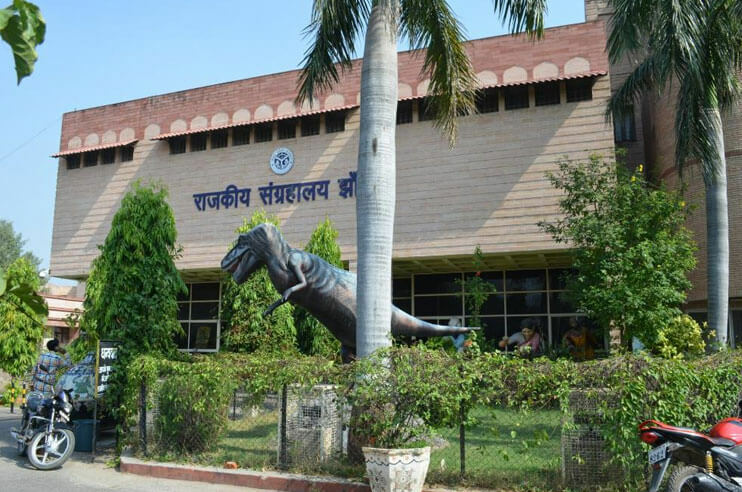 For travellers, The Government Museum is also a big name in the list of places to visit in Jhansi. Along with that, the travellers also love to explore the markets and shrines of the historic city of Jhansi. 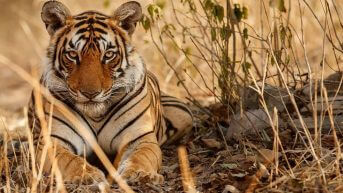 Being one of the most interesting travel destinations to visit in Uttar Pradesh, Jhansi is definitely a perfect delight for travellers seeking some historical knowledge with contemporary lifestyle. From forts to temples to museums, the city of Jhansi houses some of the most exquisite tourist attractions that dot innumerable travellers, both domestic and international, all round the year. In the year 1613 Jhansi Fort was built by Raja Bir Singh. Located on a rocky hill, the fort has witnessed numerous battles led by Rani Laxmi Bai. In total, there are ten entrances, Unnao Gate, Jharna Gate, Khandero Gate and Datia Darwaza being few of them. 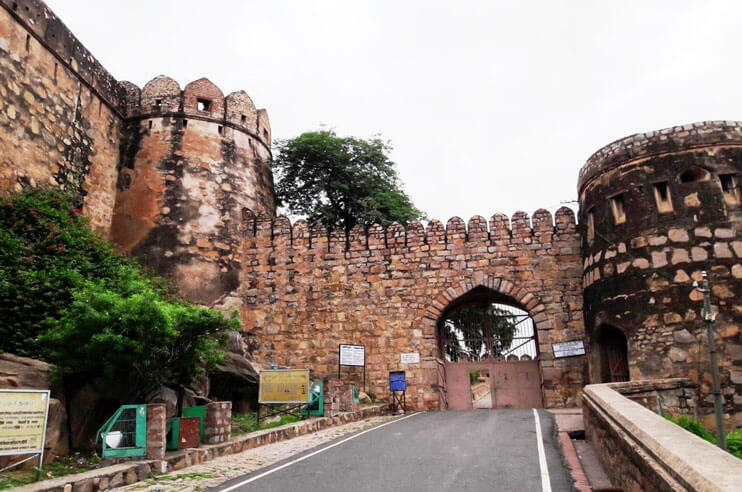 Undoubtedly a must-visit attraction in Jhansi, this fort offers a unique experience to travellers. Just for the fact, the fort still treasured the remnants of the mutiny of Indian Rebellion of 1857. 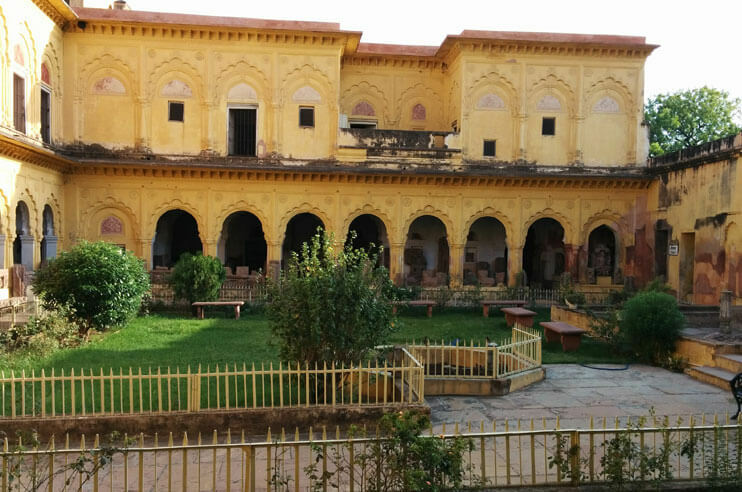 Located in the premises of Jhansi Fort, Jhansi Museum takes tourists back to the time when the Rani Laxmi Bai was the queen of the city. 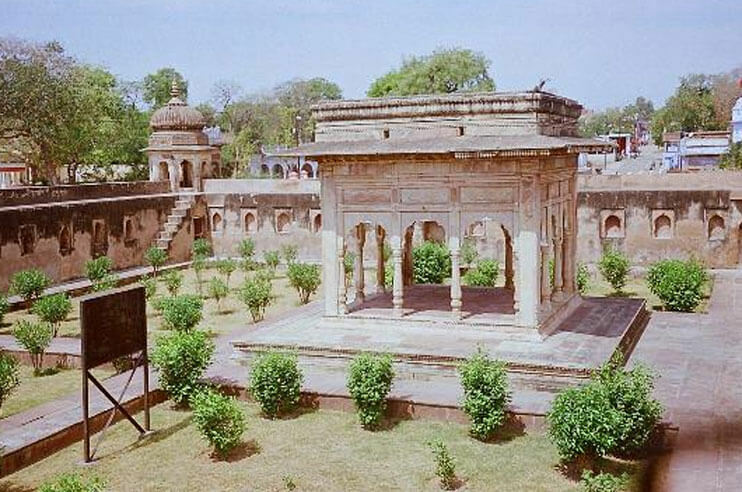 The museum houses the remnants of the battles fought in the city of Jhansi. On display, tourists can expect to see weapons, photographs, outfits, and statues of Chandela dynasty. Also, there is a dedicated gallery to Gupta period. In the museum, there is also a rare assortment of terracottas, manuscripts, coins, paintings, bronzes and much more. Another museum in the city which houses some finest historical remnants is the Government Museum. Lies in the heart of the city, the museum houses the remnants of Chandela dynasty. In total, there are four galleries each housing relics and artefacts from the 4th century BC. Apart from this, a dedicated picture gallery of the Gupta Period is a key highlight of this popular museum in Jhansi. On display, the museum boasts a rich collection of bronzes, manuscripts, terracottas, coins and paintings. 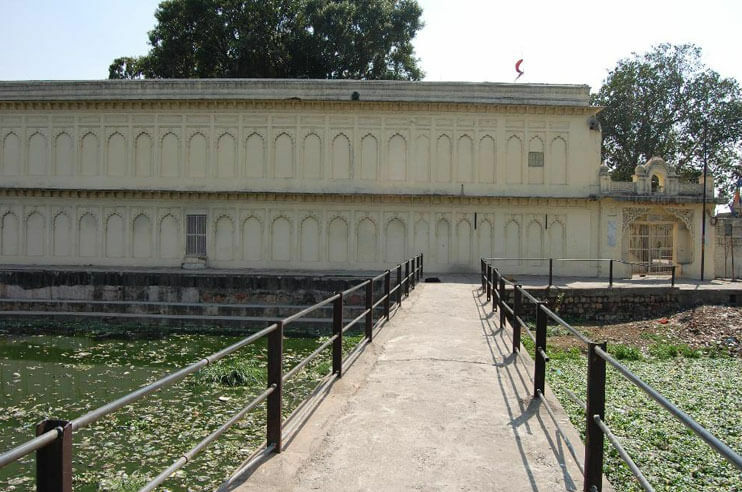 An interesting sightseeing choice in Jhansi, the former house of Rani Laxmi Bai has now converted into a museum. Constructed by Raghu Nath II of the Newalkar family, the palace is an enthralling masterpiece of traditional art and architecture. However, at present, this beautiful palace houses a great assortment of archaeological sculptures that date back between the 9th and 12th centuries AD. Rani Mahal is a perfect stopover in Jhansi for the history buffs to get treated with a rich historical knowledge. An ancient temple located near Laxmi Tal, outside the Laxmi Darwaza is Mahalakshmi Temple. The temple is sacred to Goddess Mahalakshmi. Built in the 18th-century, Mahalakshmi Temple is one of the most revered shrines in Jhansi. A large number of devotees dot the temple the year, especially during the festival time of Diwali and Laxmi Puja. It is said that this popular pilgrimage site in Jhansi was built prior to the reigning period of Rani Laxmi Bai and has been a part numerous battles. After the demise of her husband Maharaja Gangadhar Rao, Rana Laxmi Bai established Maharaja Gangadhar Rao ki Chhatri on 21st November 1853 to commemorate him. Today, it is also known as the War Memorial. Despite being more than 150-year old, this place boasts an impressive architecture. The key feature of this popular tourist place in Jhansi is the curved roof which is well-supported by 12 artistically carved pillars. 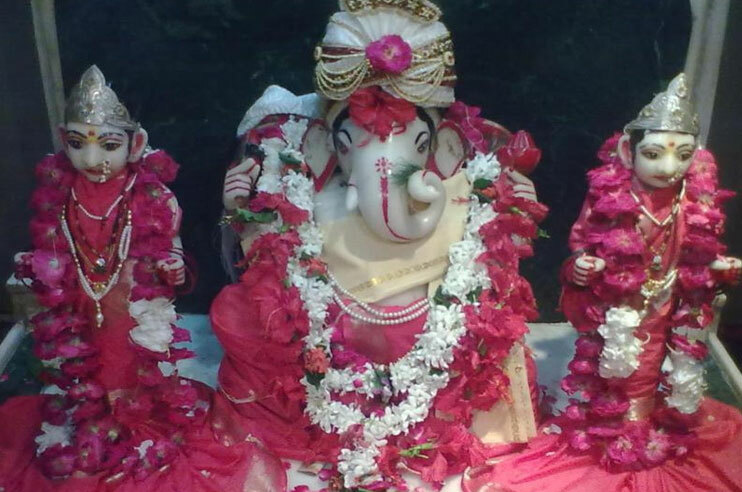 Devoted to Lord Ganesha, Ganesh Mandir in Jhansi is another historical sacred destination in the city. 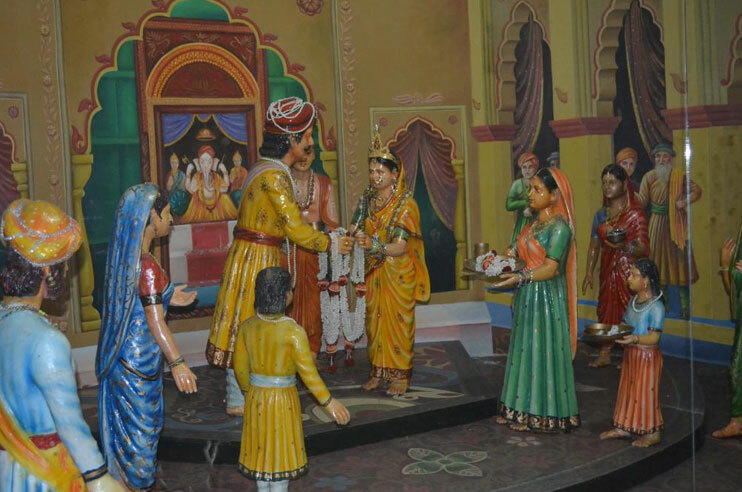 The temple is the place where Rani Laxmi Bai wedded Raja Gangadhar Rao in the year 1842. The history of the temple is unknown, yet, with its architecture and construction, it is said that this religious place in Jhansi was built during the time when the Jhansi Fort was founded. Because of its historical importance and sacred significance, Ganesh Mandir is touted as one of the most-visited places in Jhansi. 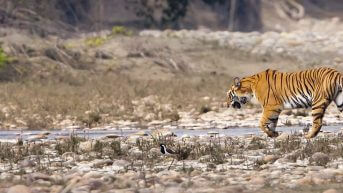 The iconic city of Jhansi is one of the most frequented travel destinations in Uttar Pradesh. Throughout the year, the place is visited by innumerable travellers with an aim to seek some indelible historical experience. While vacationing in Jhansi, one can find a wide range of accommodation options. The hotels in Jhansi are available in various ranges; whether budget, deluxe, standards or luxury, the city offers a large variety of options to choose from for. From modern amenities to best-in-class comfort, the hotels, resorts and inns at Jhansi guarantee to deliver the top-notch services ascertaining the guests’ comfort. 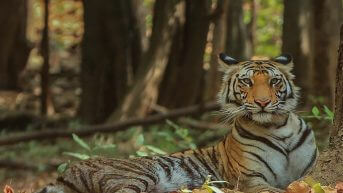 For travellers, the city of Jhansi is not all about history tours and cultural heritage rather it’s far more than that. Besides, its forts and museums, the city is also famous for pilgrimage tour to the ancient pilgrimage sites like Ganesh Temple and Mahalakshmi Temple. Besides, a visit to this enthralling city is not complete without a shopping experience which is the must thing to do in Jhansi. In the shopping department, the city houses some vibrant markets like Sipri Bazaar, Sadar Bazaar, Nagra, Tibetan Refugee Market and Manik Chowk. Along with that, a street food tour is also must while in Jhansi. poori ke laddoo, thopa, maheri, anvaria and bafauri are some popular traditional food in Jhansi. On your visit to Jhansi, travellers not just only witness the historical aspect of the city but also choose to explore its nearby popular attractions. Dholpur in Rajasthan which is often touted as a day trip away from Jhansi. 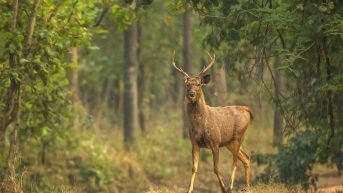 Located at a distance of 181 km, Dholpur is sacred with adorned with picture-perfect sceneries. 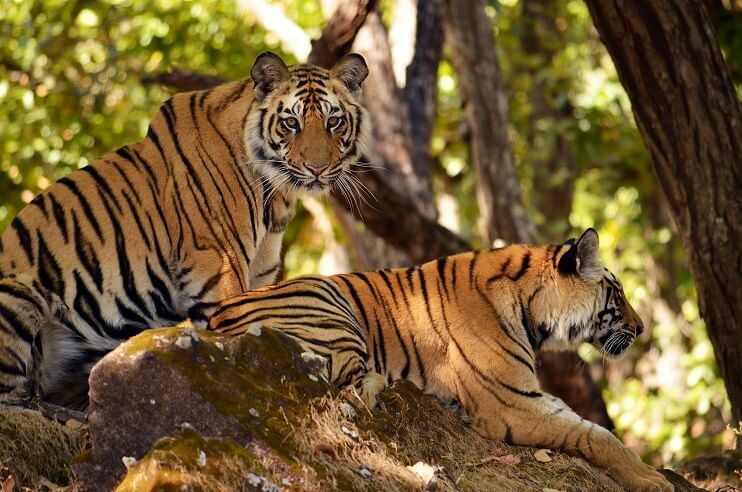 Panna, which is situated at a distance of 201 km from Jhansi, is another stopover for tourists to relish that ultimate wildlife experience. At a distance of 170 km, Khajuraho is another popular place to visit nearby Jhansi. 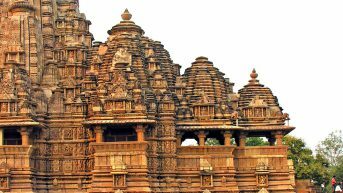 The town of Khajuraho houses Hindu and Jain temples making it one of the UNESCO World Heritage Sites. One of the most important historical places in Madhya Pradesh, Jhashi is a land with numerous treasures for tourists. All round the year, the city is dotted with oodles of travellers, yet, a larger chunk is received in the months of winter. 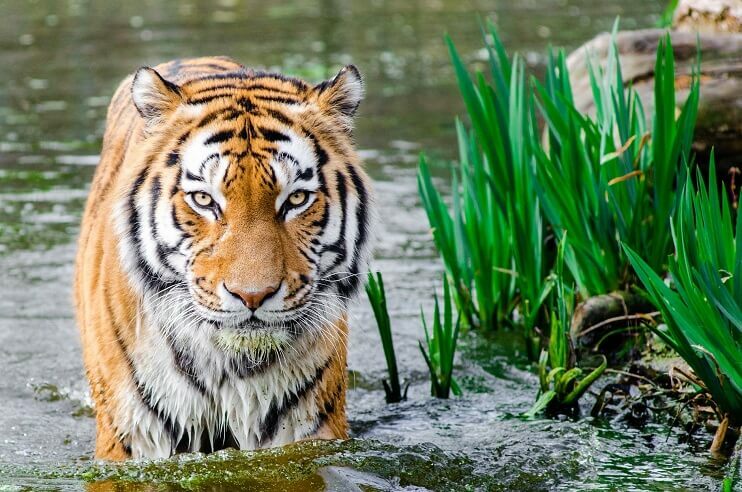 The winter season is the most ideal time to visit Jhansi as compared to monsoon and summer. 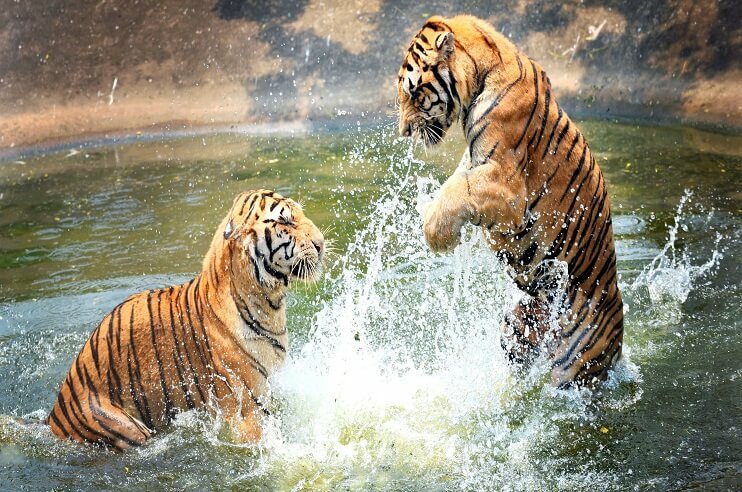 Marks its beginning in the month of March, the summer season in Jhansi is all about hot and humid weather conditions. The blistering heat of the season does not allow travellers to visit the place to its fullest making it an unfavourable time to explore Jhasni. Despite this, the city receives a significant footfall of tourist during the summer months. The season ends in the month of June. Indeed, winter is the best time to visit Jhansi. The cool, calm and pleasant weather conditions make the season favourable for tourism. 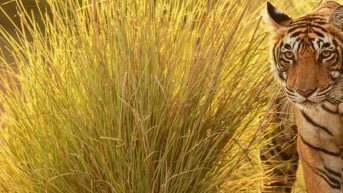 Moreover, the temperature during the months of winter drops down to 4°C. 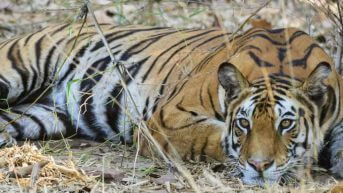 With the month of October, the winter season in Jhansi marks its onset and it lasts until February. Monsoon in Jhansi received a significant rainfall that makes the season an unfavourable time to visit the city. However, the rainfall blooms up the beauty of the city and give locals some relief from the scorching heat of the summer. The season starts in the month of July and continues until September. Being one of the most popular places in the state of Uttar Pradesh, Jhansi is easily accessible through all the means of transport, whether rail, road or air. However, the best mean to reach Jhansi is the railway. The airway is also an ideal option to reach the city but is quite expensive. Gwalior Airport is the nearest airhead from Jhansi. The distance between the Gwalior Airport and Jhansi is around 112 km. Being one of the four major airports of Madhya Pradesh, Gwalior airhead boasts impressive transit connectivity to almost all the major cities of the country including Delhi, Mumbai, Chennai and Kolkata. From the airport, taxi services can be availed to reach your destination in Jhansi. Reaching Jhansi by road is also a quite easy option for those travelling from neighbouring cities and states. Both private and government buses run on a regular basis from neighbouring cities like Khajuraho, Udaipur, Kanpur, Bhopal, Jaipur, Indore and Gwalior. Besides, one can also prefer a self-drive to reach Jhansi from these cities. The railway is the best way to reach Jhansi because of vast connectivity of Indian Railway that allows travellers from almost every corner of the country to reach the city. The city has its own railhead – Jhansi Junction Railway Station, which is very well connected all the major cities like Delhi, Mumbai, Chennai, Bangalore and Kolkata. From the station, you can either hire a taxi or can board a bus to reach the destination.